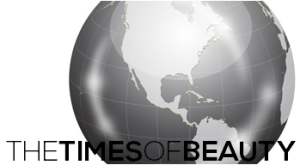 The Times of Beauty - www.timesofbeauty.com - Miss World 2018 - Miss Universe 2018: Miss Barbados World ready for Miss World! It was a farewell fit for a Queen, as family, friends, supporters and corporate sponsors gathered at the Grantley Adams International Airport in Barbados on Tuesday afternoon to bid farewell to their representative, 18-year old, Taisha Carrington. Miss Barbados arrived by limousine and was greeted by a host of fans who showered her with kudos as she begins her journey to London to compete in the 61st Miss World competition. Before her departure, Carrington – for the final time – sat amongst corporate sponsors from the Barbados Tourism Authority, Virgin Atlantic and Capital Financial, who at a media briefing touted the success of the Miss Barbados World brand and their new delegate. They all wished her success and assured her of Barbados’ full support as she flew the nation’s flag high. In a courtesy call last Wednesday, Miss Barbados also met with Barbados’ Prime Minister the Rt. Hon. Freundel Stuart, who was delighted to lend his words of wisdom and encouragement as she undertakes her role as ambassador. Miss Barbados arrived in London today for the start of the Miss World competition, which ends with a grand coronation on November 6th at Earls Court. In a phone call earlier today, Carrington sent her love to everyone back at home, assuring them she was ready to bring home the crown. Special thanks to Tashida Cox and the Miss Barbados World Organization! You may show your support for Taisha by voting for her in our It's Your Choice! poll on the right column of the website!